Mothership Zeta is back again for the 5th time. 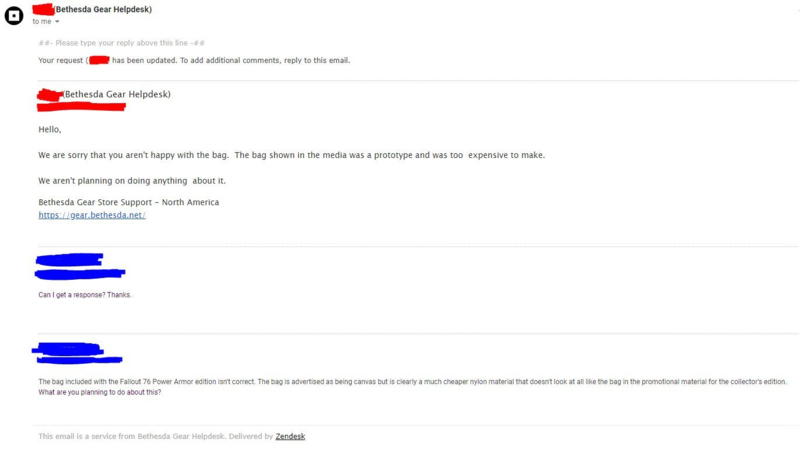 "The bag shown in the media was a prototype and was too expensive to make. We aren’t planning on doing anything about it." Lol the loving steelbook for the game is plastic. and the disk is cardboard. Not even todd howard can sell this game. Page created in 0.038 seconds with 25 queries.